The money you put in your savings account will be safe as it is insured up to $100,000 through the Federal Deposit Insurance Corporation (FDIC). So even if the bank goes out of business, you will not lose your money. If you have large savings, it would be better if you spread your savings in different accounts. This is a better option than just keeping your money in your home. If in case your house burns down, you would lose everything including the money you have saved for a long time. Aside from that, when you put your money in a savings account, it would also earn interest. If you have decided to open a savings account you would then need to understand more about savings accounts interest rates. Of course, you would want to get the best savings account interest rates. The interest rates on savings accounts that you earn when you open a savings account are what the banks pay their clients and in turn, they would use your money to fund the loans of other people. This is how banks earn profit but still you will be able to access your cash. When it comes to investment or savings, you have many options. If you are thinking of getting a retirement account to start saving for your retirement, you can start an IRA account instead of sticking that money into your savings account. If you have decided to start a Roth IRA and you are looking for the best Roth IRA interest rates, understand that Roth IRA is not an investment but rather a retirement account that holds your investments. It isn’t the Roth IRA that will be earning money but rather the investments you have put up in your Roth IRA. 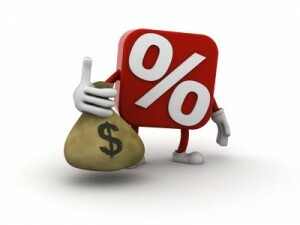 When it comes to IRA rates, probably the most common are variable interest rates and fixed interest rates. Choose your investments wisely. If you want a higher return or earnings, it will also involve higher risk. If you would just want to play it safe, then expect to get lower returns. When it comes to retirement vehicles, annuities are also one of the most popular these days. Annuity rates, like the fixed annuity rate for instance, is often compared to other savings instruments such as CDs, savings accounts, and money market funds. There are three factors that affect the fixed annuity rate namely, the investment performance on the institutions portfolio, the current interest rate in the market and the duration of the deposit. Whatever type of investment or savings you choose, just make sure that you understand what it entails. You need to do more research in order to find the most suitable option for you. For instance, you may eligible to open a tax free savings account. This type of savings account will not charge taxes for the contributions, the interest that you earn, dividends and even for withdrawals.